ARANZ Geo Limited, developer of 3D geological modelling software Leapfrog, has released Leapfrog Geo 4.0. This major release has a complete set of intuitive and highly visual tools and workflows to unlock the value of structural data for geologists and other decision-makers. ARANZ Geo solutions harness information to extract value, bring meaning and reduce risk by turning complex data into geological understanding, providing timely insight and giving decision-makers confidence. Leapfrog Geo 4.0’s intuitive and dynamic structural geology tools and workflows, make this important discipline accessible to all geologists. No longer just for specialists, vital structural data can now be cleaned, interpreted and incorporated into models to influence and guide overall geometry, all within Leapfrog Geo. A new, interactive Stereonet tool, is a major new component of Leapfrog Geo 4.0. Selections and edits to the stereonet are automatically represented in the 3D scene to give a broader perspective and aid understanding. A new Form Interpolant tool automatically creates surfaces from structural measurements. 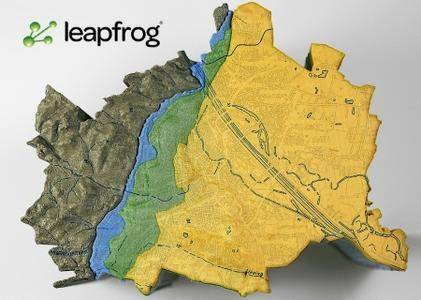 22 new features have been added or improved in Leapfrog Geo 4.0 making it a substantially advanced release. Local Leapfrog offices are on hand to demonstrate the new features and online videos and release notes are available to help bring users up to speed and ensure they can quickly benefit from the advancements.